If the witches from Macbeth formed a punk band, they would probably conjure songs like the ones on The Coathangers’ latest CD, Larceny & Old Lace. There’s an underlying sense of menace throughout these 11 dark and fun tracks, augmented by frequently raw, tormenting voices. The Atlanta-based four-woman band has evolved over five years, from the early days of not knowing how to play instruments, to their current ability to craft jarring but melodic tunes. All of the members sing, and their approach ranges from the corrosive lead vocal with high-pitched coven harmonies of “Hurricane” and “Jaybird” to the sweeter, 1960s girl group sound on “Go Away.” Not that the lighter arrangements signal happier sentiments. On “Trailer Park Boneyard,” a woman who misses her abusive lover notes, “I’m always nowhere and I can’t be me,” and “My Baby” is delivered from a stalker’s point of view. 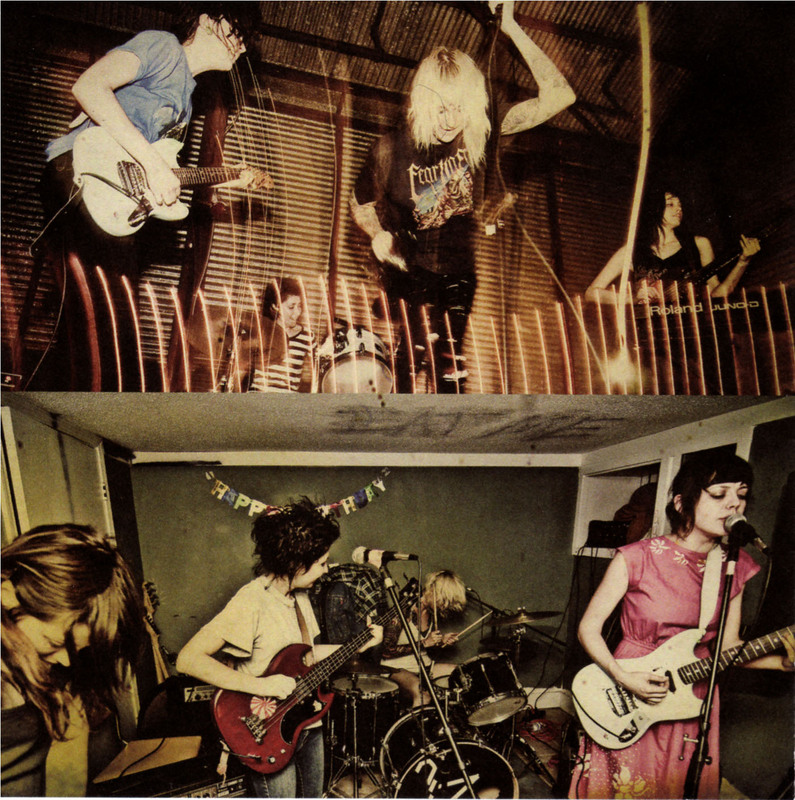 The equally obsessive “Call To Nothing” has a vintage punk feel, while on “Well Alright, ” The Coathangers put lines line, "I saw my soul put it up my nose" to a a swaggering hard rock beat. The sparse and somber ballad, “Tabbacco Rd.” shows yet another side of this intriguing band.